On July 20, 1969, Neil Armstrong became the first man on the moon. This unassuming, metal box was actually the Westinghouse Apollo Lunar Television Camera that broadcasted his momentous first steps to millions of viewers across the world. 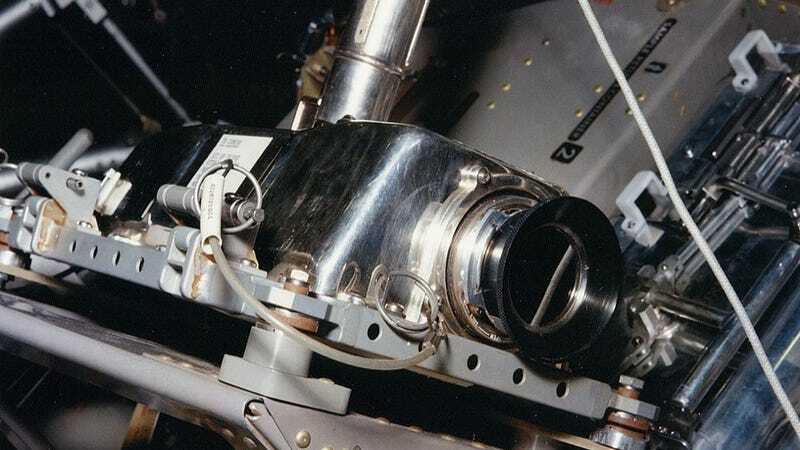 The Apollo TV camera, with its Secondary Electron Conduction tube-based sensor, could only record 250 lines of of black and white TV data at a measly 10 frames per second-terrible compared to even the cheapest camera phones on the market today. But that was all that was needed to captivate all of humanity-which makes sense. After all, the best camera in the world (or in this case out of it) is the one you have with you. Westinghouse employee Stan Lebar was chosen to manage the development of the camera. A task which, given the requirements that it had to be operable in temperatures of up to 250˚F and down to -250˚F while drawing only 6.25 watts of electricity, seemed nearly impossible at the time. That's less than a single christmas light. But Lebar and his team pulled it off.